Too bad you can't drive the vehicles like in Simcity 4 Rush Hour. Too bad you can't do many things you could in Simcity 4, like not have 5 yards to build on, editing the terrain before you start, not get messed around with EA's severs, etc, etc. 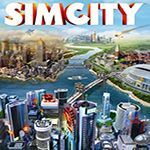 stryder237 wrote Too bad you can't do many things you could in Simcity 4, like not have 5 yards to build on, editing the terrain before you start, not get messed around with EA's severs, etc, etc. That's what I thought. Online servers prevents terrain modifications and owning several yards of lands in a single region. But the camera views and gameplay seems nice. Anyway, are those typo because of you using mobile phone?